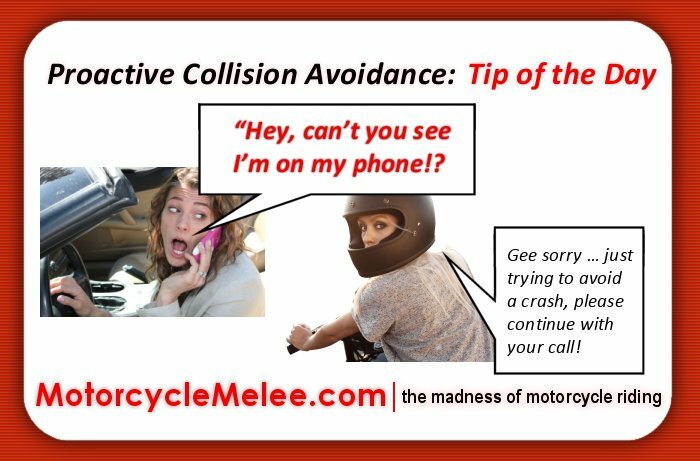 The phone in the left hand, at the left ear – blocking the driver’s vision…yet they’re still merging into your lane? 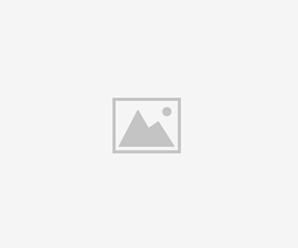 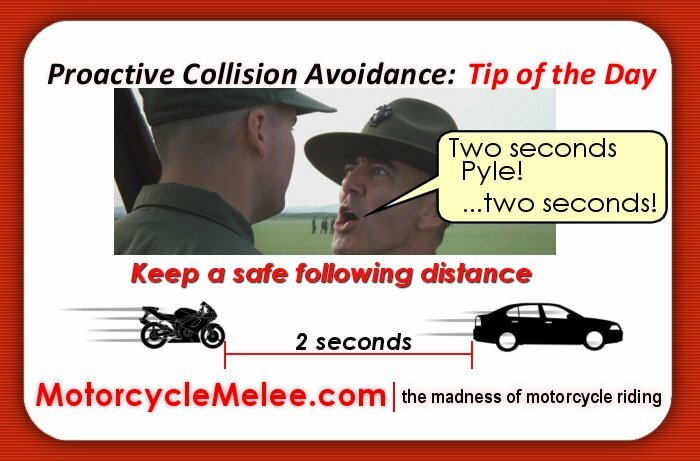 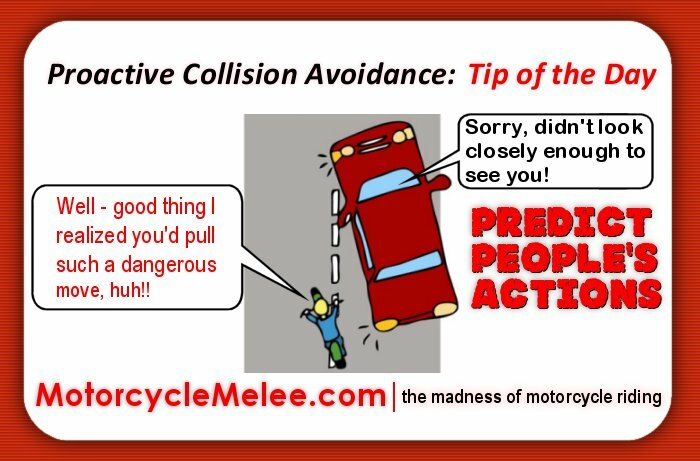 Motorcycle Melee’s Proactive Collision Avoidance: Tip of the Day. 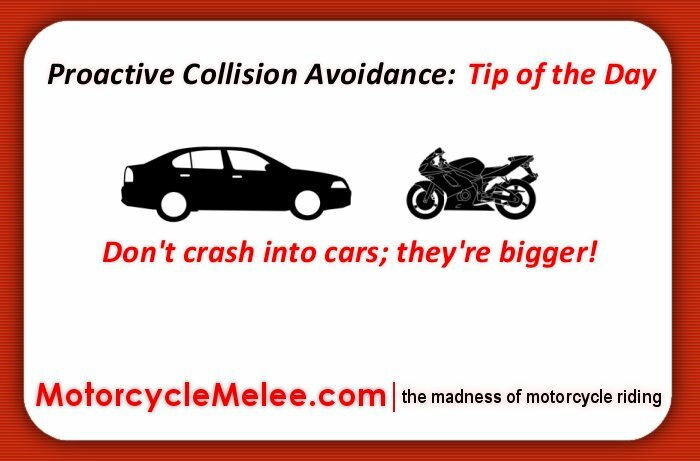 Common sense tells us that cars are bigger than our motorcycle – so let’s try to avoid crashing into them, OK?